Design Your Dream Bathroom with Bathroom Visions. We make your dream bathroom a reality. 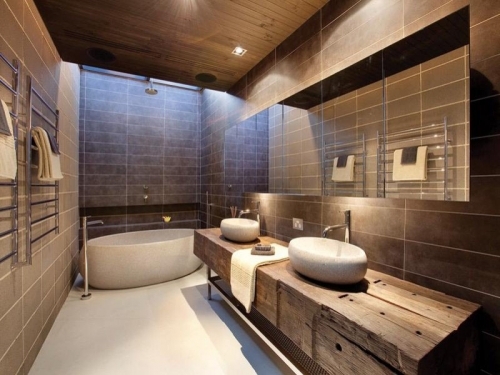 The bath doesn’t have to have tile to the ceiling: consider alternatives like reclaimed wood panels, board and batten, or bead board as high-end looking tile replacements. Wood requires more maintenance, but also gives off a much warmer, comforting vibe than tile. Builder-grade lighting is one of the first things many people want to change in a bathroom renovation, and with good cause: The fixtures rarely hold much aesthetic appeal. Adding lots of light to a bathroom is one of the most valuable changes a homeowner can make, and it doesn’t have to break the bank.